As well as helping to co-coordinate a summer camp each year, such as YOTA Finland, the Youngsters on the Air programme also has a project known as YOTA Month. YOTA Month is an activity month held during December which allows each country in IARU Region 1 to operate a Special Event Callsign, using the suffix “YOTA”. The purpose of the month long event is to encourage youngsters to get on the air and develop an interest in the hobby. This year saw a record number of participants, with 37 nations taking part, from Algeria as 7X2YOTA to South Africa as ZS9YOTA. You can see the full list here. 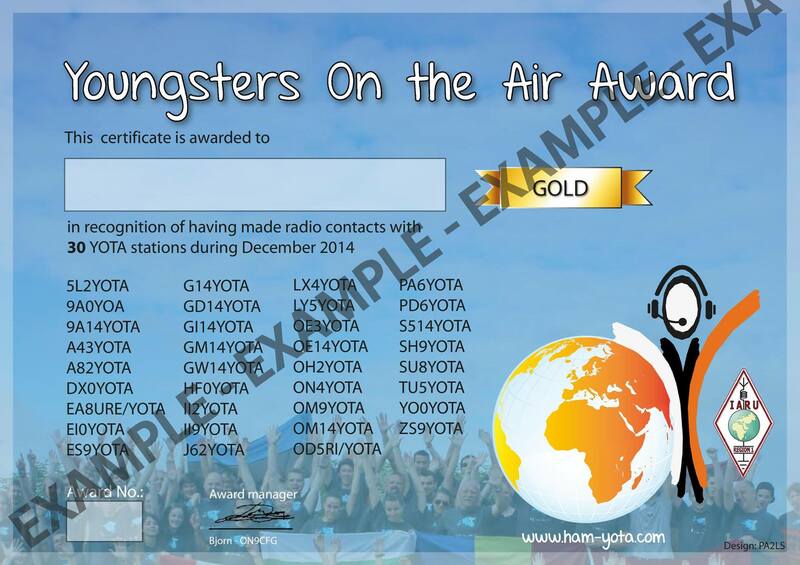 An award scheme also exists where amateurs are encouraged to work as many of the YOTA stations as possible. The level of awards ranges from bronze, consisting of working 10 different YOTA stations, to platinum where all 37 stations are worked. In the UK, YOTA Month was the first project to be led by the newly formed RSGB Youth Committee. Thanks to Ofcom’s support, the committee were able to secure the callsign G15YOTA, as well as the national variations (GM15YOTA, GI15YOTA etc.). A number of schools and clubs took part in the event, as the callsign toured the UK; such as The Priory Academy LSST, Silcoates School and Wirral & DARC. 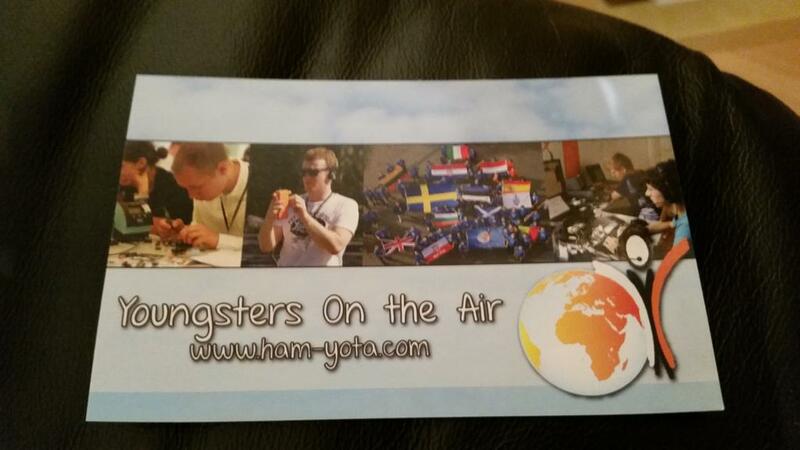 This was the first time that the UK had participated in YOTA Month and it was clear that it had been a big success in giving young amateurs a chance to operate a sought-after callsign and for some, a taste of what amateur radio was all about. 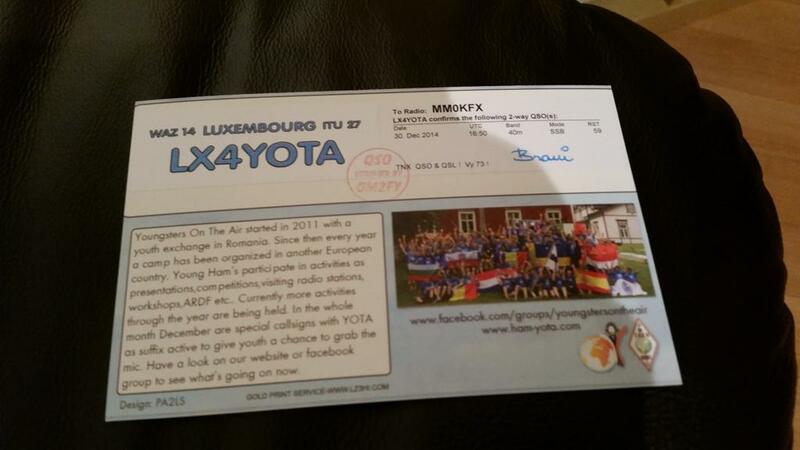 Unfortunately, I didn’t have easy access to a radio throughout December, so was only able to have a single QSO with a YOTA station, which was LX4YOTA in Luxembourg. I made the QSO on New Year’s Eve, with literally hours until the end of December! After the event, a total of 37,037 QSO’s were made across all 37 YOTA stations, showing an impressive amount of activity. 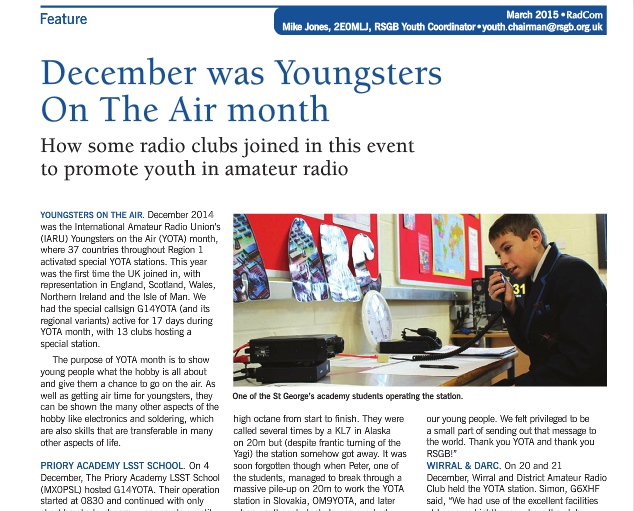 To read more about YOTA Month in the UK, including a report from a number of schools, check out Pages 44-45 of the March 2015 (Vol.91 No.3) edition of Radcom. Or check out the news items on the YOTA website, including a detailed analysis of the final QSO count.